Achaar is a flavor-packed chili sauce that adds umami kick to the foods you love. 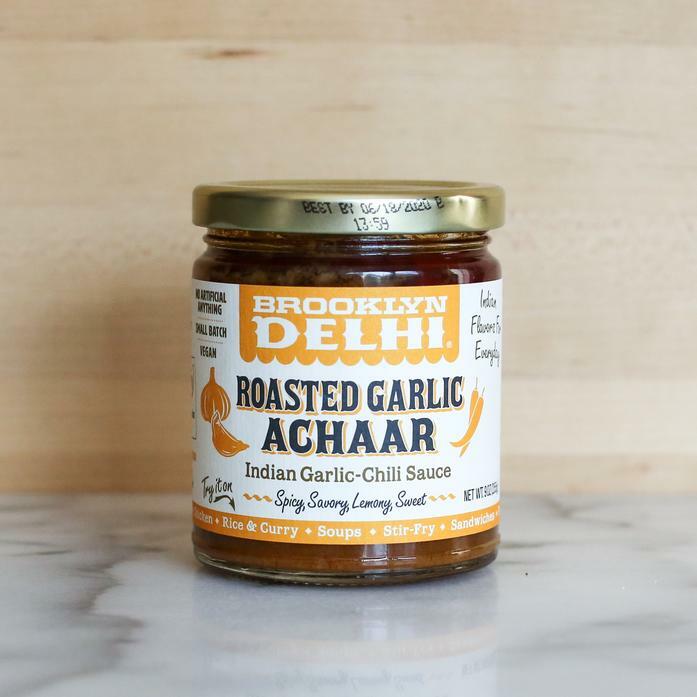 Our Roasted Garlic Achaar has a spicy, lemony, savory, sweet flavor. Use it just like a roasted garlic spread or chili sauce. Traditionally it's eaten with rice, curry, dal and yogurt, but you can use it as a base for pizza or pasta sauces, aoilis, soups or marinades and it's fantastic in garlic bread or top it on most anything - burgers, eggs, sandwiches, tacos, chicken, ramen, etc.